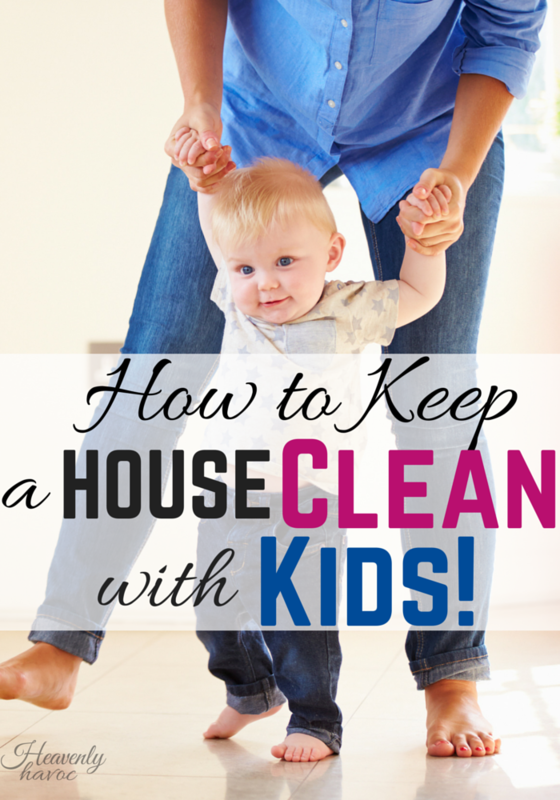 So, you’re probably here because you are dying to know HOW ON EARTH to keep a house clean with KIDS!! There has just gotta be a way, right? I mean, other mom’s do it, right? You’ve most likely walked into one of THOSE homes where everything seems to be in place, the kids have clean matching clothes, & clean faces too! How on earth do they do it?? If you have any hobbies or friends, give them up now. Keeping an immaculate house with kids will require all your extra time. Don’t worry, you’ll have your beautiful (and clean!) husband and kids to keep you company! Why would you need anything else? A big fluffy apron with about 10 pockets is a must. That way you can keep the cleaning wipes, baby wipes, booger wipes, tide pen, bleach pen, combs & brushes, duster, and any other essentials close at hand! If your apron is deluxe, it will have an extra-large pocket in the back to keep any unsightly trash or specs you might find lying around! Make sure you have a reliable TV and endless Entertainment for your children that will keep them happy and out of your hair without making any messes. After all, happy children equal happy moms, right?? Cover your kitchen floors with plastic before every meal. It might also be helpful to buy plastic robes for your children to wear. That way, after your meal is over, you can roll up the plastic on the floor, remove the robes from your children and Whala! Your magically clean home is STILL CLEAN!! Don’t forget to invest in paper plates, cups and disposable forks, spoons, and knives! We wouldn’t want any dirty dishes lying around, now would we? Invest in a high-tech camera! That way, you can take pictures of your clean home and share it with all your friends and neighbors! After all, they must just be dying to see how successful you are! These lovely pictures will also come in hand when your children are all grown and have left the home. When you get lonely and start missing them, you will always have pictures of your beautiful home! “Rather than dwelling on the past, we should make the most of today, of the here and now, doing all we can to provide pleasant memories for the future. I try to remember these words always because they bring me back to reality. The reality is that my family is the most important thing in my life, and the memories I make with them will last for eternity. Do I want my kids to remember that a clean house was more important than them? NO! I want them to remember how much fun they had at home and also how much they were loved! Chores need to be done and good habits need to be established. A clean home is a wonderful thing and brings peace to my scattered brain, yet home is also where we hang our hearts and I only hope that my first priority will always be filling those hearts with love! So to sum it all up, I think that clean homes are nice and I would never want my kids to grow up thinking it’s ok to be a slob, but to those moms out there that might be a little bit more obsessed (like me) take a deep breath and remember that this too shall pass. Time flies a little too quickly and while a little clutter or messes on the floor are sometimes hard to ignore, we must tell them to stop screaming in our ears so we can pay attention to that which is most important. Best wishes in your every day quest to keep balance in your life! How to Prepare for a New School Year on a Small Budget!